Sega US president Simon Jeffrey believes that the PS2 will have a longer lifetime than any previous console, and says that the firm will back the system for a number of years to come. Speaking to MCV, Jeffrey said that PS2 hardware would continue to do the numbers for “two to three years at least”. “This generation of hardware will have longer legs than any previous generation, and that’s definitely healthy for the industry,” said Jeffrey. “We expect Sony to price manage the PS2’s shelf life for another two or three years at least. 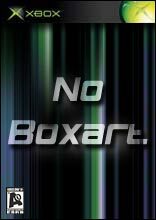 PS2 high profile titles, especially ‘wide market’ and licensed titles, will absolutely be part of the Sega portfolio going forwards,” he added. 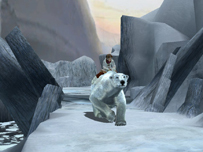 Sega of America is set to release PlayStation 2 versions of multiplatform titles such as The Golden Compass (pictured) and Sonic Riders: Zero Gravity before Christmas. 2 Days To Vegas" is a story driven 3rd person action-adventure game. The thrill-a-minute story is crammed full of car chases, shootouts and unexpected twists, to keep you on the edge of your seat thro..